Assault Heroes was first confirmed delisted on PlayStation 3 in June of 2016. The original developer, Wanako Studios, was purchased by Sierra Online in 2007 and absorbed into Activision Blizzard’s development base before being acquired by Artificial Mind & Movement in 2008. In 2010, around the time of Assault Heroes’ release on PlayStation 3 (published by Konami), A2M changed their name to Behaviour Interactive. Somewhere between the changes in names and ownership, and Konami’s major withdrawal from games publishing, Assault Heroes on PlayStation 3 was delisted. The game’s Wikipedia page was updated on June 22nd, 2016 with the addition, “as of today, the PS3 digital version is no longer available for purchase”. This is the earliest confirmation of the game’s delisting. 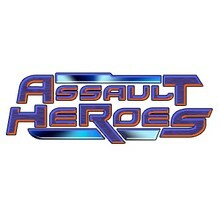 Assault Heroes remains available on Xbox 360 and was released on physical media for PC.